Here we have a look at P&O most southerly destination, the capital of Spain’s northern shores, Bilbao. Fourth largest of Spain’s cities, after Madrid, Barcelona and Valencia lies the northern port of Bilbao. Known for being the capital of Spain’s Basque Country, its Guggenheim art gallery and its wonderful array of sea food and delicate tapas (known in the local dialect as pintxos), Bilbao is well worth a visit and one of the best ways to arrive in the port is with P&O. Nowadays Bilbao is booming; an economic power house sat at the foot of the Pyrenees, situated in the rich Basque territory of lush forests, mountains, beaches and the Nervión River that runs through the city. A visit to the area could mean one of a many different things: a trip to the ‘world’s biggest party’ in Pamplona, a surf trip amongst some of Europe’s finest waves, a camping holiday in nearby San Sebastian or Biarritz or perhaps it could be your launch pad for an extended holiday around the Iberian peninsula. P&O Ferries sail to Bilbao from Portsmouth, and during your voyage to the Basque Country you can experience some of the finest services that P&O Ferries has to offer. These include themed mini cruises that include comedy acts each evening, or you can enjoy the rich and diverse wildlife that populate the waters of the Bay of Biscay. The P&O vessel that operates on the Portsmouth-Bilbao route is called, the Pride of Bilbao and it is one of the finest ferries in the P&O fleet. Built in 1993, she is the largest passenger night ferry operating out of the UK with over 2350 berths. She is characterised by her ‘large and bright’ passenger spaces, full of brass, marble and crystal fittings. 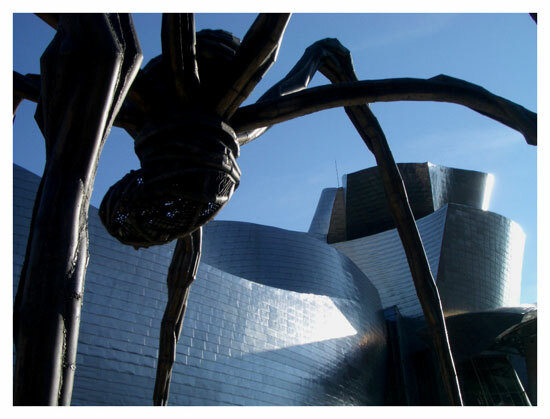 It is worth remembering too, that Bilbao is the gastronomic heartland of Spain. The variety of pintxos is endless – from cod and beef dishes, to shell fish and salads – and the area is home to one of the highest concentrations of Michelin starred restaurants in the world. Fine wines and beer are also stars of the menu, including the typical Basque drink, txacoli. So, there are a host of reasons to start considering Bilbao (or Bilbo in Basque) as a future holiday destination. It is also the route which allows passengers to fully appreciate the joy and excitement of a voyage with P&O Ferries. Why not start looking today!